At first glance, roofing might seem quite straightforward and simple. However, it involves a lot of details. When we talk about roof inspection, evaluating an existing roof, or roof repair, designing and pricing are two vital aspects, and roof core cut testing is important to determine both. What Is A Core Cut Test? To simplify, a core cut test is when a designer or contractor cuts out a small cross-section of the roof to examine and determine the overall composition of the roofing system. Although cutting out a portion of the roof might seem to be an intrusive roof surveying technique, when it is executed by trained and certified professional roofing contractors, it can be quite harmless. What Does A Core Cut Test Tell Us? By analyzing the core samples from your roof, you can identify the materials used for its construction. It is also an adequate way to determine if any hazardous materials have been utilized. Core sampling is an effective way to know about the roof design and composition. You can discern how thick your roofing system is, the details about the layers used, and the weight of those layers. If you want to know what the slope of the insulation and roof deck is, core sampling is an ideal and reliable approach. It can also tell you what technique and materials provide the sloping. The core sampling test can give you information about the presence and location of wet roofing components. You can ascertain whether there is water trapped in the roofing system and how much of it is present. 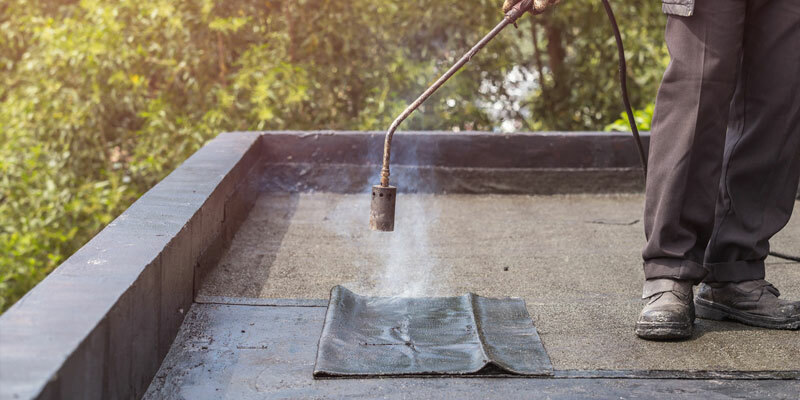 Information about the roof deck’s structural integrity, metal corrodes, concrete spalls, and more can be determined by this technique. What Are the Benefits of Roof Core Cut Testing? Following the building code is essential. For instance, if your building has more than two roof assemblies, they must be removed as per the building code. The presence of substances like asbestos calls for specific handling measures and disposal methods. These can increase the overall cost of the project. It is critical to establish the length of fasteners needed to ensure that they penetrate the deck by the required amount. The longer fasteners will have a higher cost. The cost of disposal depends on the composition of the roof, the number of layers, and their respective weights which can be determined using the results of the core cut tests. Core cut testing reveals the type of insulation material used and its value. You might need to upgrade it based on the analysis, which can impact the roofing cost. It is important to determine the deck type of your roof, which may not be able to be ascertained by an underdeck inspection. In this case, a core cut test is conducted. The deck type can also affect the pricing of the project. Core cut tests are of immense importance as far as roof design and project pricing are concerned. They are used by roofing contractors to evaluate existing roofs, conduct roof repairs, and survey flat roof systems. 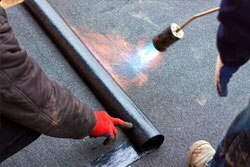 With over 15 years of experience in commercial roofing services in Toronto, Can-Sky Roofing is an experienced company dedicated to competency and efficiency. We have roofing contractors and specialists who have the required skills and expertise to analyze the situation and provide an appropriate solution. Get in touch with our roofing experts at 647-691-0487 or contact us to obtain your free quote.